Hermanus has been recognized by the WWF (World Wildlife Fund) as one of the 12 best whale watching destinations in the world. The best time to enjoy whale watching in Hermanus is between July and November either from land, by boat or from the air via a scenic flight. The whale viewing during the months of July and August vary from year to year with regards to how many whales are present in Walker Bay and along the coast; however you are almost guaranteed of seeing whales in September, October and November. The Hermanus Whale Festival takes place every September, coinciding with the Southern Right whale’s breeding season. 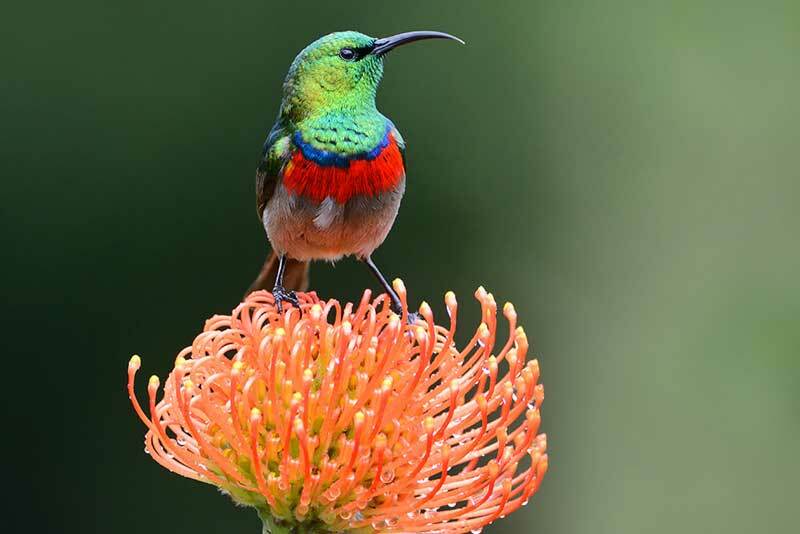 Hermanus offers a variety of hiking trails and walking paths. The Cliff Path that stretches from the New Harbour in Westcliff all along the coastline to Grotto beach is 10-12km long and has made Hermanus famous for its land-based Whale watching potential. Accessible from many points along the route, it has benches at strategic points along the way to give hikers a rest or just to provide a place to sit and watch the whales or appreciate the beauty of Walker Bay. 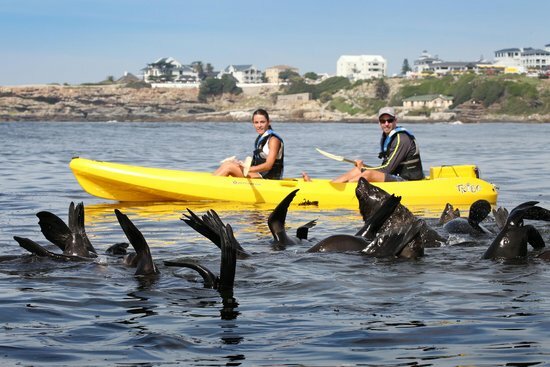 Hermanus offers beach lovers several sandy options for a perfect beach day thanks to the usually mild Mediterranean climate and coastal location of the town. From the expansive Blue Flag Grotto Beach to the quieter secluded beaches tucked away amongst the cliffs and dunes; every beach offers its own experience. 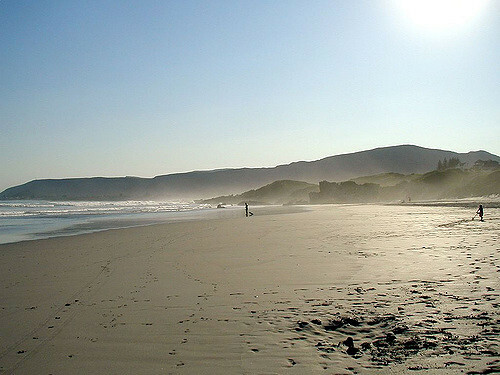 The largest beach in the area stretches along the coast for over 18km (around 11 miles), bordered by mountains and indigenous plant life on one side and the beautiful Atlantic Ocean on the other. At the lagoon families can enjoy a braai whilst overlooking the strand, or swim in the calmer lagoon waters and explore its shores. The Hermanus Golf Course is located along the foot of the Kleinriver Mountains that border Hermanus. This pristine course is a unique asset to Hermanus as it boasts a 27 hole course, all of which are in perfect condition and surrounded by indigenous wetlands and Fynbos. The course wraps itself around the natural curves of the mountainside, making each hole a different and challenging experience. Golfers are also able to enjoy a view of the ocean from some of the higher placed holes, adding to the ambiance of the course. 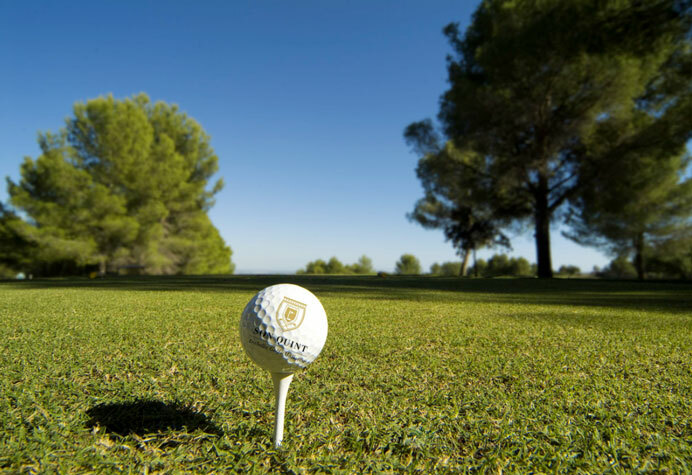 Non-members are m more than welcome to enjoy the course but it’s advised that bookings be made ahead of time. Shark Cage Dives are conducted from Gansbaai, situated approximately 40 minutes outside Hermanus. 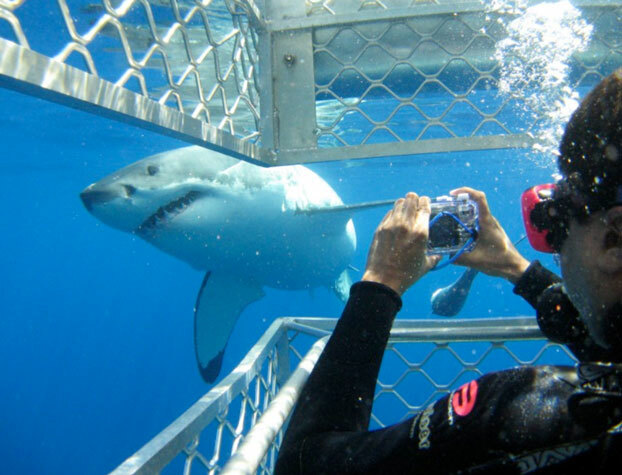 A number of tour operators offer shark cage diving trips and pre-booking is essential. Although an adrenaline pumping experience, the activity is extremely safe and if all the safety precautions are taken and followed it will become one of your best memories. These dives take place in the picturesque Kleinbaai Harbour with full wetsuits and caging supplied. Diving equipment is also supplied, along with an optional DVD of your experience. All trips are weather and tide permitting and divers and non-divers can enjoy this fascinating excursion. No prior diving experience is required. 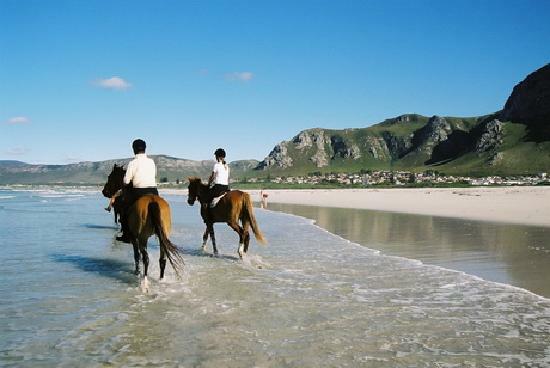 The horse trails in and around the area offer beautiful and scenic trails that give riders a chance to experience the Overberg on horseback. Most of the service providers have horses for all riding levels – from novice to experienced – insuring that the experience is enjoyable for everyone involved. There is also a quick safety briefing and overview of horse riding so that riders know how to handle climbs, rough terrain descents. The trails can take riders through mountain passes, vineyards and orchards, ending with a picnic beside a waterfall. For the less experienced riders (and younger children) there are shorter rides that encompass beautiful landscapes but have very easy-to-navigate trails.